"Why are you writing a book on Positive Psychology?" a sceptical friend asked me last week. "Isn't that just some American fad about being positive? Given your background and interest in both philosophy and psychotherapy, don't you find positive psychology -- no offence meant -a tad lightweight?" So what are my top 5 reasons for writing a new book on Positive Psychology? 1) Flourishing and Happiness - which are the main goals of Positive Psychology - are very important. Who could disagree? We learn all sorts of things at school and at the workplace, but what are we taught about flourishing and happiness? 2) There are habits, skills and ideas we can learn which make us more likely to flourish and be happy. Whilst genes, upbringing and luck all have a significant part to play in how happy we are, there are things we can do to help us be happy. Bertrand Russell was right when he wrote about the possibility of "The Conquest of Happiness" back in the 1930s. 3) In order to find out what makes us happier, we need empirical studies. Russell and ancient philosophers - Stoics, Epicureans and the rest - did us a great service by coming up with ideas about what can make us live better. Whilst there is much wisdom in their writings, we need to do experimental work to see what works, for whom. This is one of the main aims of Positive Psychology. It has already come up with some illuminating findings. - what would Aristotle really say about Positive Psychology? - have other philosophies, such as existentialism, utilitarianism and Stoicism useful contributions to make to the nature of flourishing? 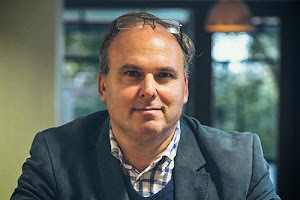 - what is wisdom and how is it connected to flourishing? - what is a meaningful life as opposed to a life someone thinks is meaningful? 5) Just as philosophy has much to offer Positive Psychology, so has Psychotherapy. Whilst Martin Seligman began life as a psychologist and therapist, I'm not sure how much Positive Psychology draws on recent findings and practices in Psychotherapy. As a practicisng psychotherapist, I find many points of contact between therapy and Positive Psychology. - CBT has many evidence-based models, protocols and techniques that can be applied not just to mental illness but also to positive well-being. - Existential Psychotherapy and Philosophical Counselling look at meaning and purpose and the importance of emotions - negative as well as positive. These can inform Positive Psychology. 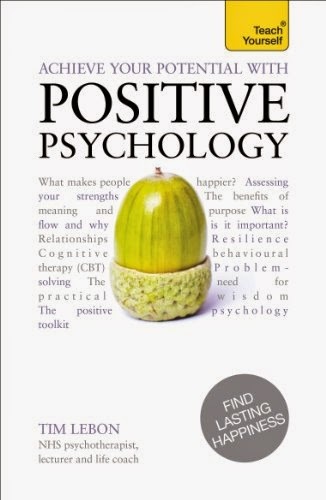 In short, Positive Psychology is the home of vital research and discussion of flourishing and happiness, and if it is described in a balanced way, informed by philosophy and therapy, then it can fulfil its potential - even in the sceptical UK.